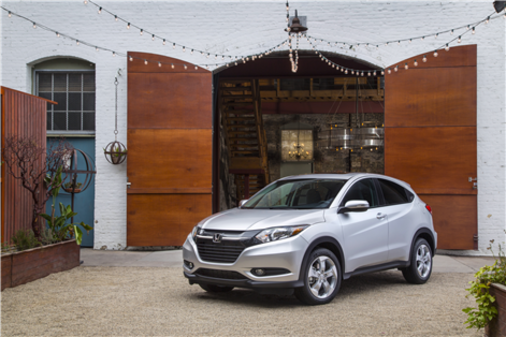 Unveiled in 2016, the Honda HR-V was one of the first subcompact SUVs to hit the market. As other models entered the segment, Honda’s offering remained one of the most appealing, thanks in part to its impressive combination of interior space, fun driving dynamics, and advanced safety and connectivity features. Both compact and spacious, the 2018 Honda HR-V manages to deliver a compact size that's perfect for city driving while still providing enough cargo space to allow owners to escape from the city when the weekend arrives. With 688 liters of cargo space available in the trunk, the Honda HR-V offers storage like no other vehicle in its class. And if you fold the rear seat, you will get 1,665 liters of total cargo space. Not bad, for such a compact vehicle! Better yet, thanks to the HR-V’s Magic Seat system, you can configure the interior in basically any way you want, and therefore haul basically any object you need. Powered by a 1.8-liter four-cylinder engine producing 141 horsepower and 127 lb-ft, the 2018 Honda HR-V is also an example of low fuel consumption. With all-wheel-drive and an optional continuously variable automatic transmission, the 2018 HR-V has a fuel consumption rating of 8.3 liters per 100 kilometers in the city and 6.9 liters per 100 kilometers on the highway. The 2018 Honda HR-V comes standard with a six-speed manual transmission, heated front seats and 17-inch alloy wheels. 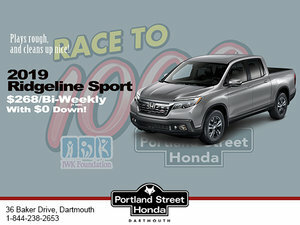 All this starting from $ 22,650 at Portland Street Honda. An all-wheel drive configuration is of course optional, as well as a variety of other driver assistance technologies. Inside, the Honda HR-V does not just offer a spacious and comfortable cabin. It also incorporates a seven-inch touch screen with a multi-angle rear view camera that includes a variety of information about the vehicle. The 2018 Honda HR-V is also available with a 180-watt audio system and the LaneWatch blind spot detection system which makes both city and highway driving a lot easier. There is a lot to love about the 2018 Honda HR-V. Come and discover Honda’s most affordable sport utility vehicle today at Portland Street Honda!